A Fox 5 Atlanta report revealed ownership in Los Angeles have interest in bringing the Atlanta Falcons to the city. Los Angeles is interested in nearly every NFL team. Why? Because the city has no NFL team. Remember: Los Angeles already had two NFL teams (Raiders, Rams), and they both flopped. Secondly, Atlanta is already a good venue for sports and entertainment. Plus, with the Falcons being as good as they are now and having the most support they’ve had since probably 1998, it would be foolish to move them now. Owner Arthur Blank has made it clear how much he loves Atlanta. Blank’s a man of his word, so I would think he’d be transparent about moving the Falcons. Rest easy, Falcons fans. The Falcons are remaining in Atlanta. 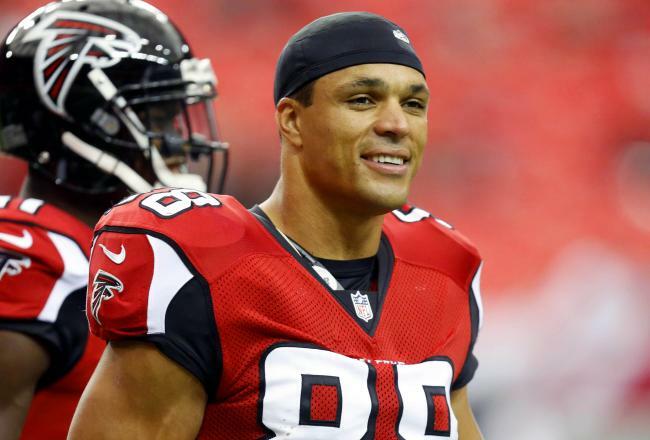 Back in July, Atlanta Falcons tight end Tony Gonzalez said he was 95 percent sure this season would be his last season. There’s still a five percent chance he doesn’t retire, and the Falcons hope he returns for another year. I feel the same way as Weatherspoon. The Falcons were essentially 10 yards away from heading to the Super Bowl; being so close, yet so far away has to leave both a good and bad taste in the tight end’s mouth. At 36 years of age, Gonzalez finished the regular season with 93 receptions for 930 yards and eight touchdowns. Those numbers were his best since coming to Atlanta in 2009. Even at his age, Gonzalez can still play at a high level. With wide receivers Julio Jones and Roddy White on the outside, it’s nearly impossible to stop Gonzalez one-on-one. It was “Pick Your Poison” with these three. Ideally, Gonzalez would’ve liked to ride off into the sunset with a Super Bowl victory this season, but it’s still a possibility for next season. Expect Gonzalez to mull this decision over for a few months. If he does come back, the Falcons are in great shape. If he doesn’t, the league will bid farewell to the best tight end to ever play. The Falcons would have a hard time replacing him, and it would be a shame if he’s unable to get that ring. 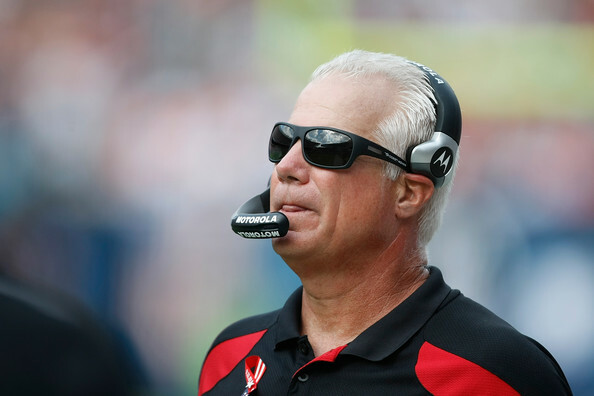 Atlanta Falcons head coach Mike Smith’s decision to play the starters in a meaningless Week 17 game came back to haunt the team. I said I was a fan of the decision to play the starters. It was a nice departure from what the Falcons had done in previous years, and as we all know, the Falcons fizzled out in the first game of the playoffs each of the past three times. In the season finale, defensive end John Abraham ended up injuring his ankle. Smith said Abraham would be fine for the playoffs, but he clearly wasn’t. The defensive end was pulled early in the divisional round versus the Seattle Seahawks. Against the San Francisco 49ers in the NFC Championship game, Abraham didn’t record a single stat. Abraham is the only player on the defense who can generate pressure on a consistent basis. With him being hobbled, the Falcons weren’t able to get any pressure on Russell Wilson and Colin Kaepernick. At 34 years of age, Abraham shouldn’t have even dressed for the Week 17 game. He’s too important to the defense, and the decision to play him all game possibly cost the Falcons a chance at playing in Super Bowl XLVII. For the second consecutive week, the Atlanta Falcons opened up a big lead only to squander it to their opponent. The Falcons (14-4) lost 28-24 to the San Francisco 49ers (13-4-1) and failed to secure a Super Bowl berth, which would’ve been the second in franchise history. 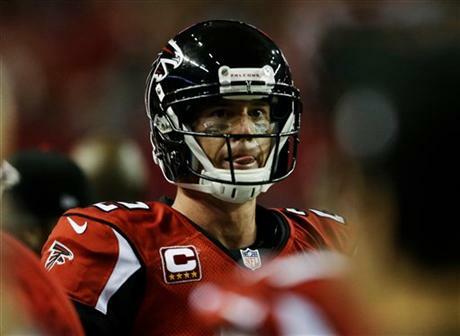 Atlanta Falcons quarterback Matt Ryan will miss the Pro Bowl with a sprained shoulder he suffered late in Sunday’s NFC Championship Game versus the San Francisco 49ers. The Falcons lost 28-24. Ryan’s injury isn’t serious. He’s expected to be fully recovered in three to four weeks. Head coach Mike Smith said Ryan would’ve been able to play in the Super Bowl in two weeks if the Falcons were able to defeat the 49ers. Atlanta Falcons defensive end John Abraham and defensive tackle Jonathan Babineaux are both active for today’s NFC Championship Game against the San Francisco 49ers. They were listed as questionable throughout the week and were limited in practice. Both players are integral to the defense, and if both were out, it would have been detrimental. The Atlanta Falcons Piedmont Healthcare Injury Report published on Friday lists two starters as questionable for Sunday’s NFC Champsionship match-up against the San Francisco 49ers: defensive end John Abraham (ankle) and defensive tackle Jonathan Babineaux (shoulder). Safety William Moore (hand), linebacker Stephen Nicholas (foot), and cornerback Chris Owens (hamstring) are all listed as probable. Each player didn’t miss practice, with Abraham and Babineaux being limited. It’s the first time the Atlanta Falcons will host an NFC Championship Game, and it’s the second consecutive year the San Francisco 49ers will appear in said game. 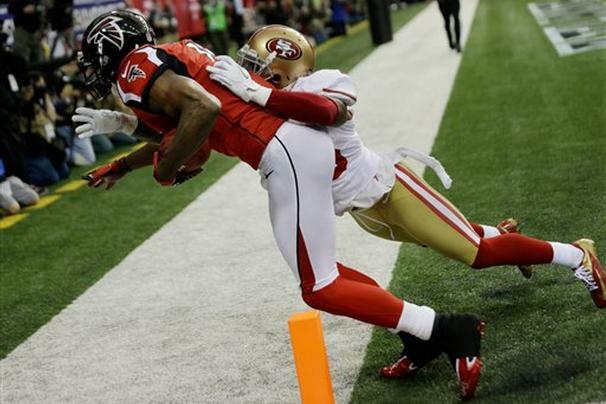 Last year, the 49ers hosted the championship game and lost 20-17 to the New York Giants. There’s little doubt San Francisco (12-4-1) will look for that extra nudge to get over the hump and earn themselves a trip to Super Bowl XLVII.